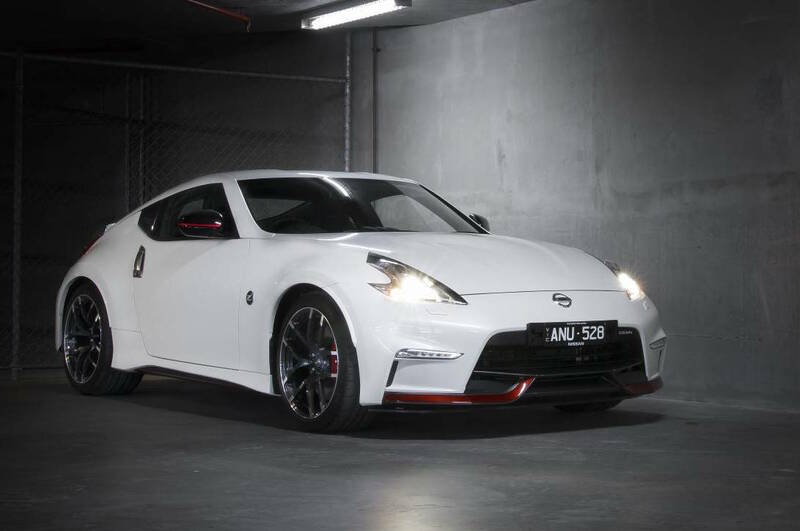 Nissan Australia has recently announced the arrival of the long-expected 370Z Nismo on the hot continent next month, with prices to start from $61,490 for the coupe manual. Full prices are provided below. 370Z Nismo Coupe automatic – $63,990. Visually, the all-new Nismo 370Z Nismo comes with plenty of new styling elements, like updated Nismo aero kit with front and rear spoilers, black accents around the body, as well as the striking 19-inch Nismo alloy wheels. In the engine department, all variants are equipped with an impressively powerful 3.7-liter naturally aspirated V6 engine, developing 261 kW and 374 Nm of torque. The engine is hooked to a standard six-speed manual transmission or an optional seven-speed automatic. This might make the sports car more agile than the regular 245 kW coupe, which sprints from 0 to 100 km/h in 5.0 seconds. Performance figures will be announced at a later date. In the Land Down Under, the new 370Z Nismo will be joining the G-TR Nismo model introduced last year, with the Japanese carmaker consolidating its leading position in the sports car segment, on the Australian market.